In the first of Token Talk’s weekly review shows, the robotics platform - Kambria ICO and the off chain payments solution provider Liquidity Network ICO come under scrutiny. 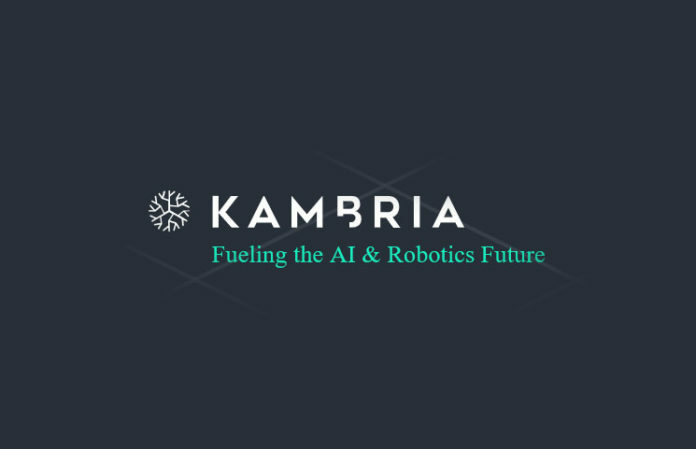 Kambria ICO and the KAT token which has yet to announce the exact date of the upcoming crowdsale is a very interesting proposition that seeks to build a new robotics eco system to bring all players together to move the industry forward. The Kambria team has evolved from an existing robotics firm OhmniiLabs who previously have developed a home robot for remote communications which seems to have found a good niche in the market especially for contact with frailer, older members of the community. So their big plan, their vision is to get a platform where challenges from around the world are posted with bounties and to get developers solving these challenges but at the same time sharing their solutions. The team is young and energetic and obviously they have achieved quite a lot already in a short time with their own robotic launch. The advisory board bodes well and there are some respected company names there that are backing the team, so that is a good sign. The whitepaper is still officially at draft stage so there is time yet to add more detail but immediately what is missing in the current version is what do they plan to do with $ 25 million, there is no spending plan or no explanation of how they arrived at this figure? Token metrics in detail are not published so hard to pass comment on this part. The offering is well thought out and presented, they have put in work to make sure it gets the message across. The business and the plan has a lot of potential and could be a game changer in the long run. In the short term at present, I think the chances for flipping the investment and getting your return as it hits exchange are neutral.As a long term bet, it has good prospects if the project can get that initial traction and uptake. This next ICO offering for me as an investor sits in one of the very interesting asset classes, being scaling solutions for blockchains. As most of you will know, one the biggest challenges to mass use of cryptos once they get mass adoption is the scaling issue and how to step up the traffic considerably without falling down the many possible potholes. A lot of the money is riding on payment solutions for that cross platforms that will deliver even more transactions per second at even less cost, Credits, Fusion, Zilliqa, Quarkchain etc who all have delivered plus returns for an investor since hitting the exchanges. Then you have off chain solutions such as Raiden Network and Lighting Network which have promised great improvements for payment solutions and micro payments but as yet not delivered the great steps expected. Off chain in simple terms means many payments go to a network with promissory credit, allowing cheaper and faster transactions. And now we come to Liquidity, who are they and why pay them any attention. They are proposing a new off chain solution built with Distributed Acyclic Graph technology, DAG, and a lot of solutions are now using DAG solutions, the most well known being IOTA. The team is headed up by Arthur Gervais who lectures at Imperial College London and Ramil Khalil who seemed to have done a lot of the initial work and put together an MVP that is running on an Ethereum testnet. They have been doing the rounds and have started to attract attention and get an interested following again with organic growth and not by smoke, mirrors and overhype. They had a major boost earlier in the year when Vitalik Buterin, the founder of Ethereum expressed interest and support in the project. They are just going to ICO now on 14th June, there is KYC required and there will be a Dutch auction across the month as the price reduces on set time periods until enough people have committed and then the price is aggregated.